UK based gallery, London Miles invited me into an upcoming group show this November. Each artist was asked to reinterpret a painting from pre WWII art history. I was drawn to the original painting through it’s simple but powerful theme of an animal birth and the human interaction with that event. 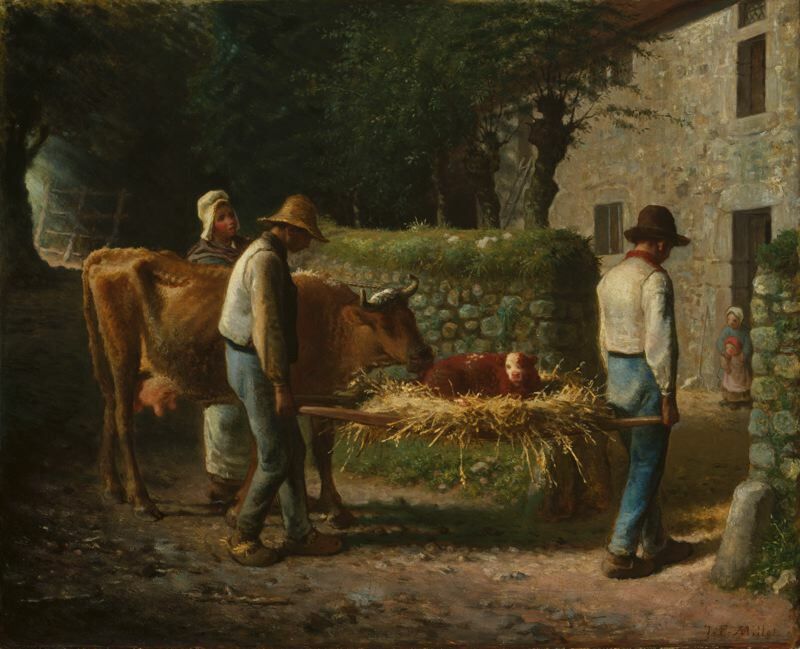 It was also interesting to me, because that interaction has changed so much from the time Millet painted “Birth of a Calf”. Given this, I wanted to update the scenario and bring in the major players and processes associated with modern births. 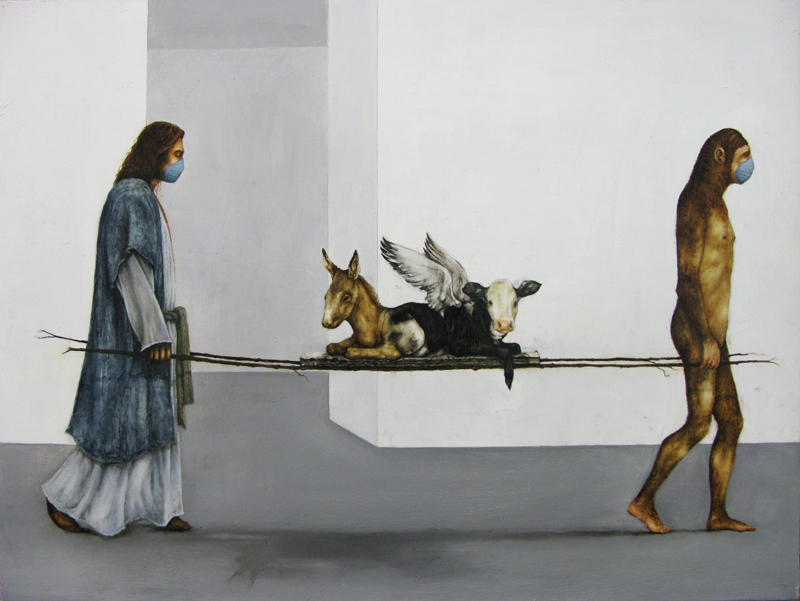 Enlisting Jesus and a cro-magnon to transport the genetically modified “newborn”, touches on the ideas of creationism, evolution, and science all at once. Deciding to enshroud the Christ figure in an acid-washed, denim overcoat was a whimsical nod toward popular culture. This playful element amplifies mortality in a being that symbolizes correspondence between a spiritual and physical reality and simultaneously brings a welcomed element of humor into a work of art which threatens to be taken too seriously. You are currently reading Remaking History at Kevin Earl Taylor.